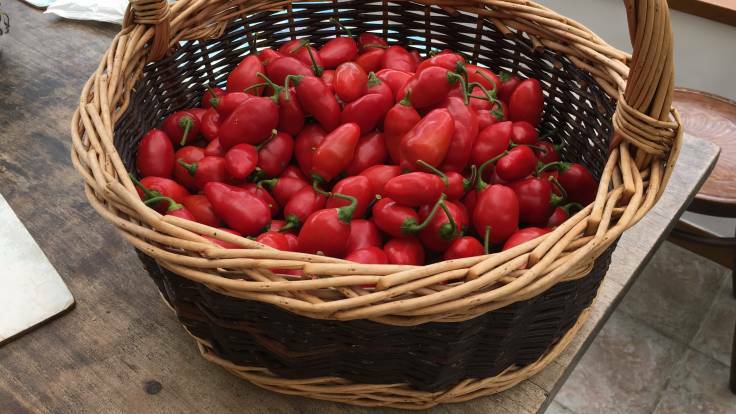 Bumper crop from Alberto Locoto chillie peppers in the polytunnel, from The Real Seed Catalogue. I’ve been treating them as a potted perennial. This, their 3rd year, put them in the ground in the polytunnel and they have gone crazy. Will try to overwinter them in the polytunnel, cut them right back, a thick layer of dry wood shavings and maybe I won’t have to sow any more chillie seeds!